I’m Fed Up With My Kenmore Elite He3t Washing Machine Problems! I officially dislike my 6½ year old Kenmore Elite HE3T front-load washer. Yep… it’s broken again. I fear that this will not be an easy fix. It will be costly, and we may decide to replace it rather than repair it. We’ve spent our fair share on repair bills with this washer and do not wish to throw good money after bad. The problem now appears to be either a bearing problem or the spider assembly needs to be replaced. Those parts run upwards of around $220 to $300 each. The clothes would be in the spin cycle and it sounded like a bunch of rocks rolling around in there. I don’t know it will take to repair it until I disassemble the washer. This is not going to be pretty. I took off the top and bottom panel to have a view while it was operating. I DO NOT recommend doing what I did, but I was trying to see if something had broken off, and I wanted to watch it in action to try and figure out what was wrong. After not seeing anything noticeably wrong — besides all the noise and violent vibration going on — I went online to search out the cause. Right away, I found a couple of articles that seemed to match my problem. Coincidentally, the title of one of the articles, Sounds like rocks are in the washer when it spins the clothes, was what our washer sounded like in spin cycle. This article gives details of how to replace the rear tub bearing assembly. It is involved, to be sure. The other article has hundreds of comments by owners of Kenmore Elite He3t washers. There is also a great video of a guy who disassembled his Kenmore Elite washer to analyze why it broke down. He found out that it has some fairly poor engineering, design, and manufacturing going on there. I encourage you to watch his video. You might be a bit disappointed and angry, like I was, with the obvious design flaws that he points out. It has had a bad vibration problem from day one due to the extremely high spin rate. Apparently, that was our fault — not the washer’s fault — because we put it on an “upper” floor (actually it’s the main floor with a basement below). We learned that early on from the repairman. I also learned about it from reading some self-help DIY-type forums. If the floor is not super-braced, it will “give” and vibrate heavily during that high-speed spin cycle. The only place to put this washer is on a floor with a cement slab. We’ve had issues with the door lock error code (F/dL) several times over the past year or so. Initially, I tried a little trick I read about online that had nothing to do with the door lock assembly… but it worked. That lasted a couple of weeks before the F/dL error code re-appeared. I decided to call a repairman to diagnose the problem for me. If it was going to be a somewhat major problem, I would have let him finish the job. But since it was a matter of replacing the front door lock mechanism, I decided to order the part and repair it myself. A couple of months went by before the same F/dL error code appeared on the screen. Feeling frustrated, I called Sears Home Appliance Repair. They came out and I watched everything he did. He did make a mention that I did a great job of replacing the door latch assembly, and that that was not the issue this time. He wiggled and jiggled a few of the plug connections in case they were loose. He took a couple of readings and things seemed okay. He put the lid back on and ran a cycle of wash, rinse, and spin. It worked… of course! He suggested that the vibrations from the machine had caused one of the connectors to come loose but wasn’t 100% sure that that was the true cause of the problem. Then he proceeded to pitch an extended maintenance agreement that would cost us around $300. He also mentioned that it was possible that the motherboard may be going bad and it runs a mere $800. I didn’t like either one of those plans, so I skipped them both. A couple of months go by and guess what happens? Error code F/dL appeared. I got my tools out and took the top off like the tech had done and looked carefully at all of the connections. They all felt firm and attached so I unplugged each one and then plugged them back in again in succession. I closed the door and started a mock load. Voila! No error code. A couple of weeks go by and we’re happy campers with clean clothes, and then the same error code appears. This little scenario goes on for the next month or so. A couple of months have gone by and no error code. So, now that I have the error code whipped, it breaks down on me. I will be sure to post everything I did in Part 2 of this post, whether it be repaired or replaced. This is Part 1 of 2. 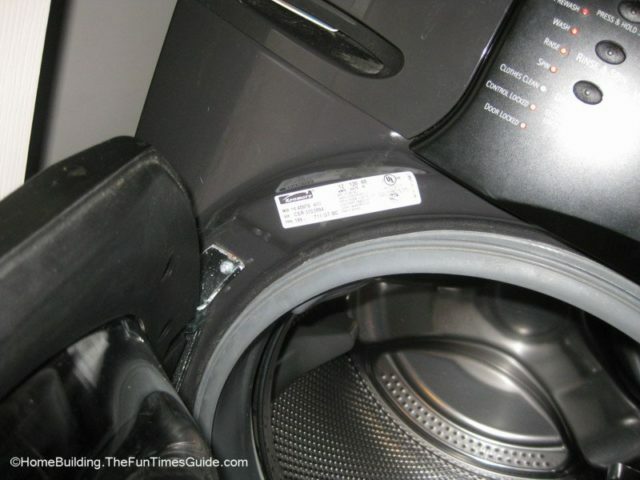 MUST READ: We ended up buying a Samsung washing machine instead!